Check it out, dude crushed it. In great detail, Isaac used the bright neon colors in a manly fashion. This is one colorful sweater players won’t mind wearing. 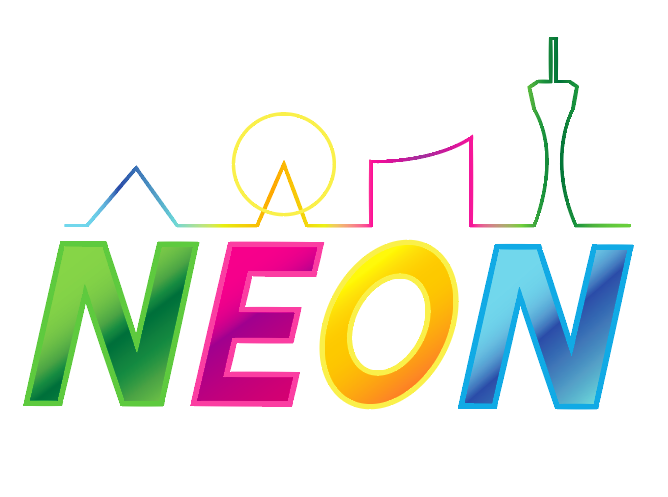 The Vegas Strip skyline above the N-E-O-N lettering is a perfect highlight to the front of the jersey. Our boy scored top shelf yet again adding white shoulder pads, with team patches stitched in. 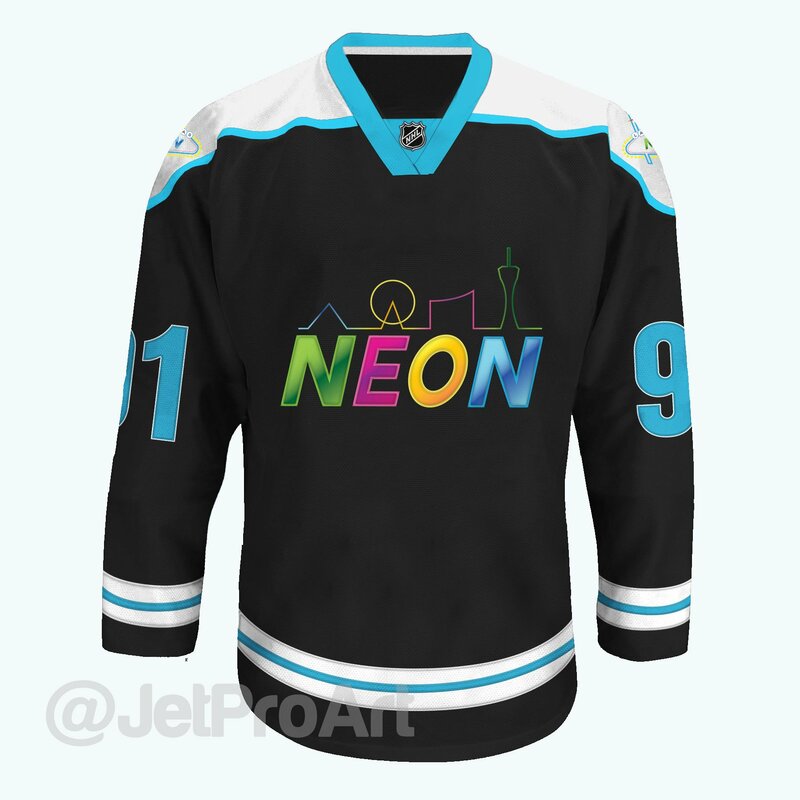 Looks great with neon blue trim, seamlessly blending into the black jersey. The league shield on a blue collar looks NHL official. The white and blue striped trim on the jersey and sleeves is a nice touch as well. It adds to the sweaters modern and stylish look. Lastly, the name and numbers on the back are clear, and colorful. 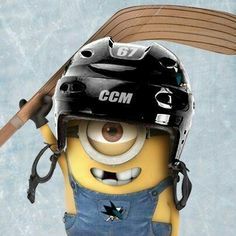 Every possible color scheme is used around the league. Its tough to find an original. The colors are unique, and a good representation of Las Vegas. And of course he used #91, is @JetProArt a boss player? Yup. Isaac must give amazing Christmas gifts, because he gave me everything I wanted in a concept jersey. 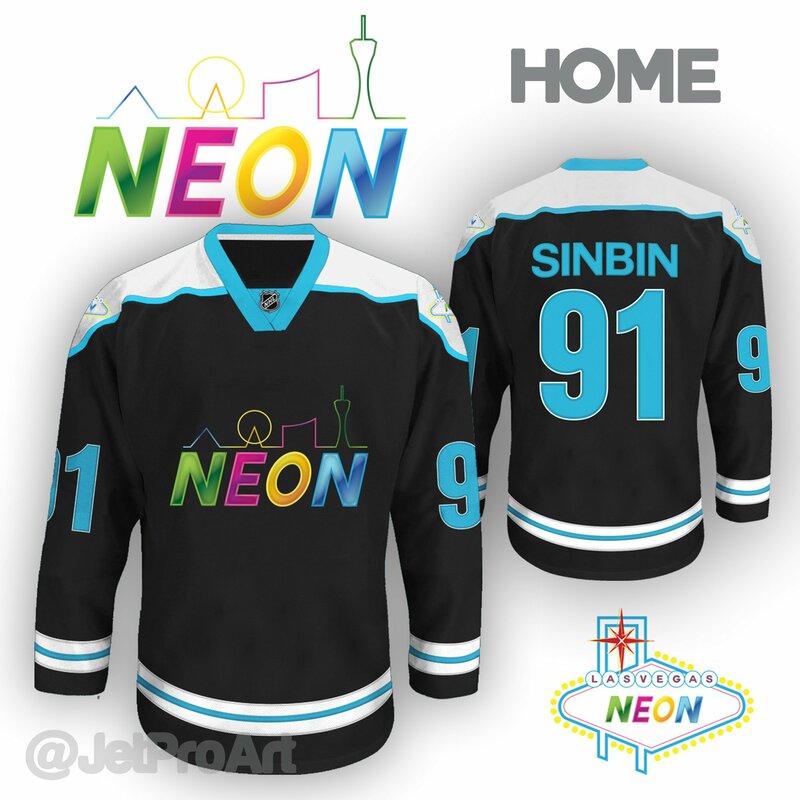 It looks like a real NHL sweater and something fit for Las Vegas. Besides the Logo the colors are not bad with the Black and Blue ;). My reaction is No Just No, knew a girl that used the handle Neon :). She was cool, that logo is another story altogether :). 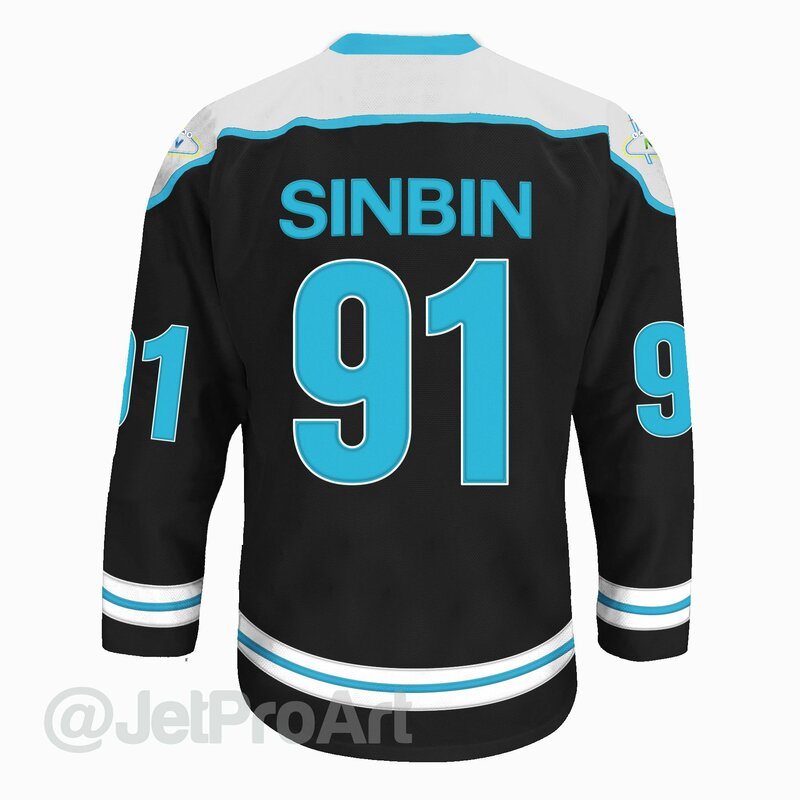 Hipsters might buy it to replace the Fisherman Jersey of Islanders :). There is a Black Sabbath song Neon Knights or so if they wanted to go all out for it ;). I’d laugh seeing their draft pic look at the jersey before putting it on :). Not sure many would know what the buildings are supposed to mean either.